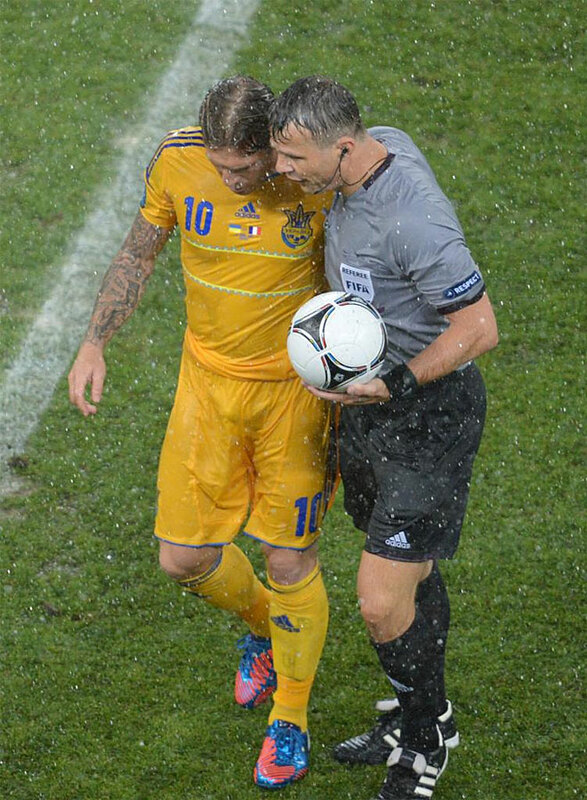 Players and fans alike got soaked during the recent Euro 2012 game between France and the Ukraine. 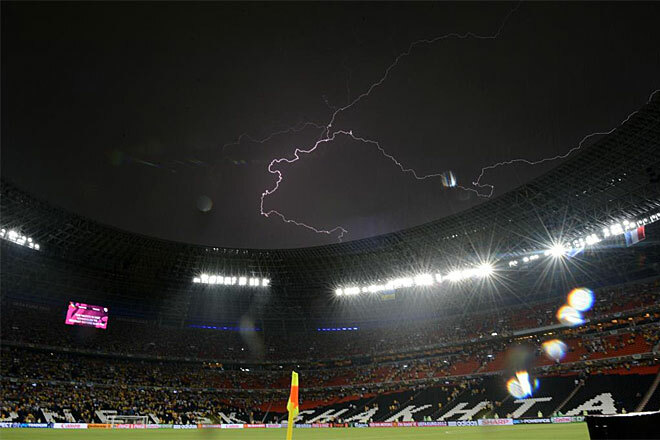 The game was stopped after 4 minutes due to a huge storm and extremely close lightening. 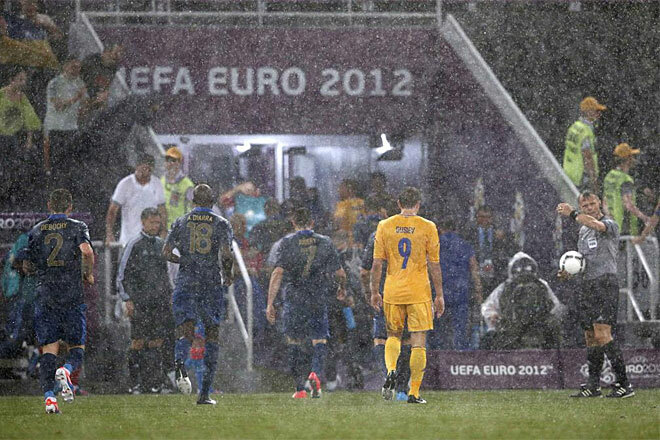 France went on to win (2-0) when gameplay was resumed an hour later. After 4 minutes on the field, the refs decided to stop the game. Fans spent the next 40 minutes partying while waiting for gameplay to resume.